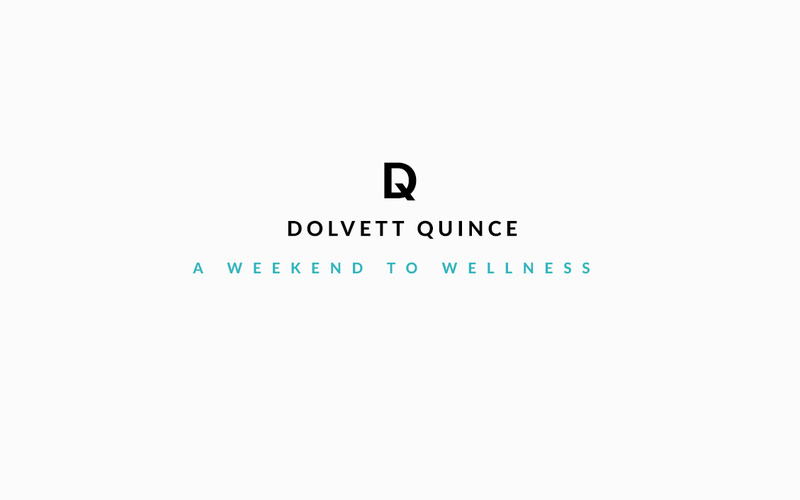 After five seasons on ‘The Biggest Loser’ and over a decade of experience as a personal trainer to the stars, Dolvett Quince is a health and wellness expert. His positive, holistic approach to fitness has helped people on and off screen live better, healthier lives. Dolvett Quince is personal trainer, television personality and actor, best known for his work on the tv show The Biggest Loser. His book, ‘The 3-1-2-1 Diet: Eat and Cheat Your Way to Weight Loss–up to 10 Pounds in 21 Days’ became a New York Best Seller in the year 2013. 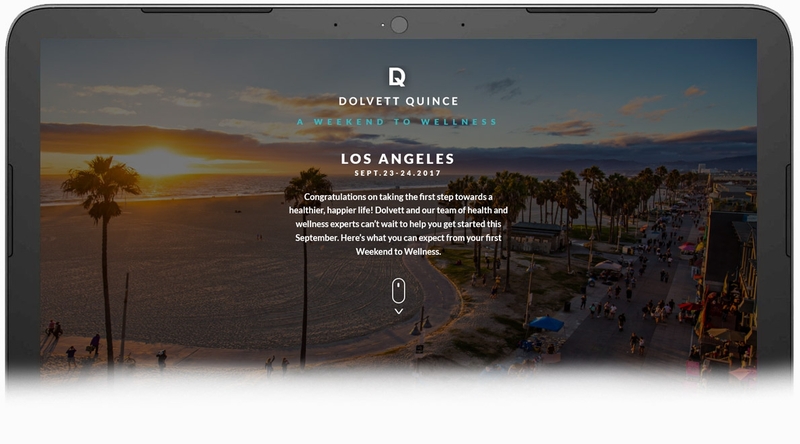 We worked with Dolvett to create a website for something special: three “Weekend to Wellness” retreats in LA, Chicago and Atlanta. 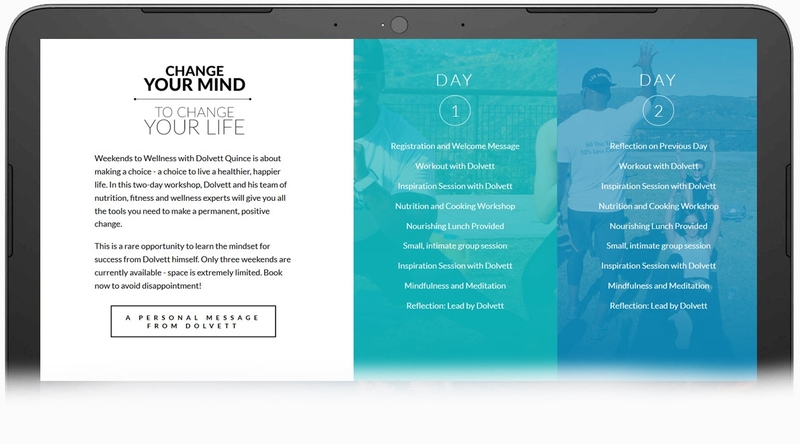 In order to help support the marketing for these events, we began by tweaking the look and feel of Dolvett’s brand. 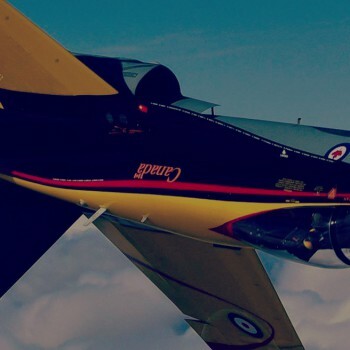 The final product was clean and friendly, but also helped to communicate the high-end nature of the exclusive events. 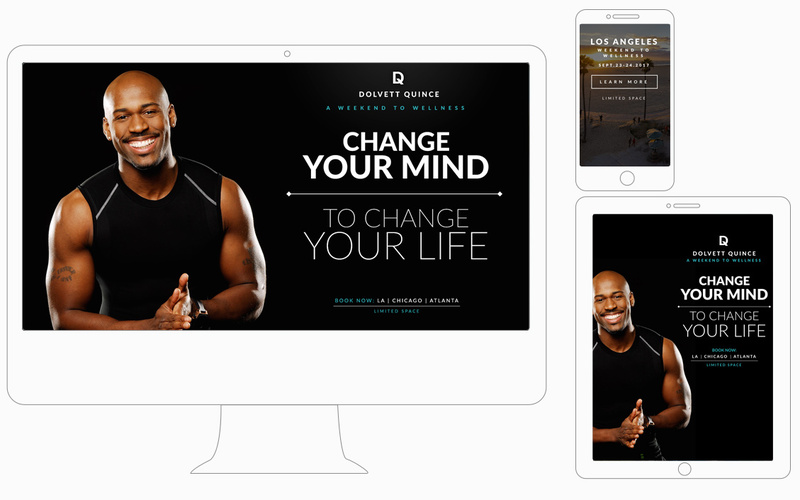 The website was designed to embody the feelings of inspiration that Dolvett is able to inspire in his clients and fans. 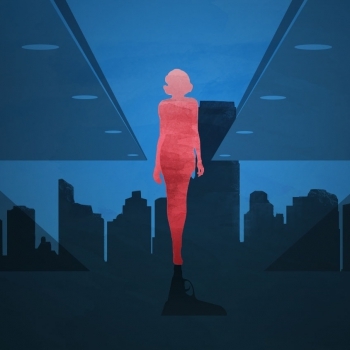 Clean, colourful elements with background video and clear calls to action help visitors get engaged. 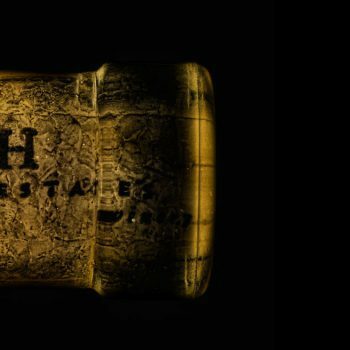 Each event had it’s own page, with a specific imagery, itinerary and a “Book Now” link that enabled visitors to purchase tickets directly on the website.